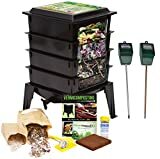 Worm composting is an incredibly efficient way to convert kitchen scraps, junk mail and cardboard into nutrient-rich compost for your garden. Master gardeners agree that compost produced by worms will produce the best results and help your plants thrive. 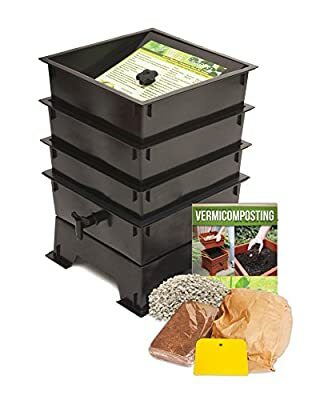 The Worm Factory's unique stackable, multi-tray design makes it the most efficient worm bin composter around. 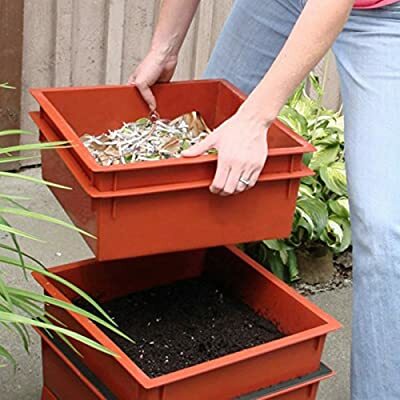 Worms begin eating waste in the lowest tray, and then migrate upward as food sources in that tray are exhausted. By allowing worms to migrate upward, the worms separate themselves from the finished compost that is ready for the garden. 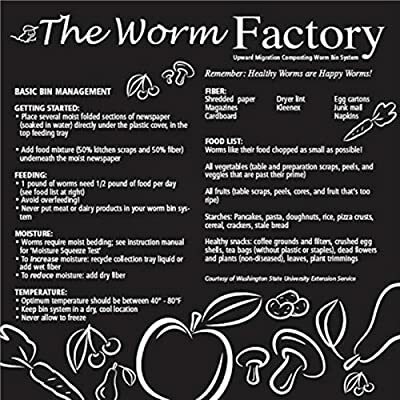 Besides the worm castings that are produced through this process, the Worm Factory also produces a second type of compost. As waste is broken down, moisture filters through your Worm Factory, taking nutrient-rich particles with it. 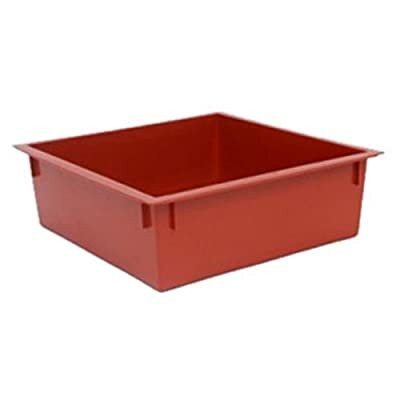 This liquid fertilizer, know as leachate is gathered in the special collection tray of the Worm Factory and can easily be drained from the spigot. 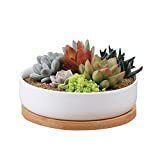 Simply add a handful of worms and your organic waste to the bottom tray. The worms will start processing the food. Once the bottom tray is filled add another tray. The worms migrate upward to the newest food source leaving the bottom tray full of nutrient rich compost. As waste is broken down, moisture filters through the system taking nutrient-rich particles with it. You can drain organic liquid fertilizer right from the spigot. It's compact square design gives the Worm Factory the smallest footprint of all worm composters. 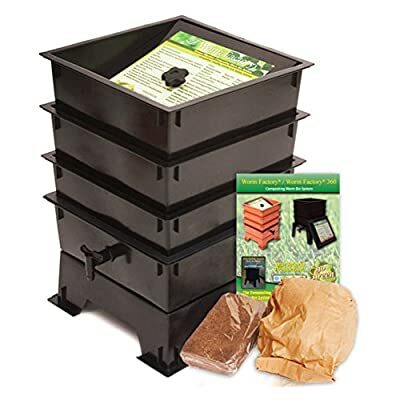 The Worm Factory's tray stacking system allows it to hold the largest capacity of compost in the smallest amount of space, making it the perfect composter for anyone with space limitations. 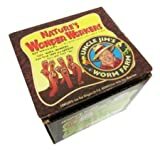 The Worm Factory is simple to operate. When full, each tray weighs only 12.5 pounds making lifting and arranging trays effortless. 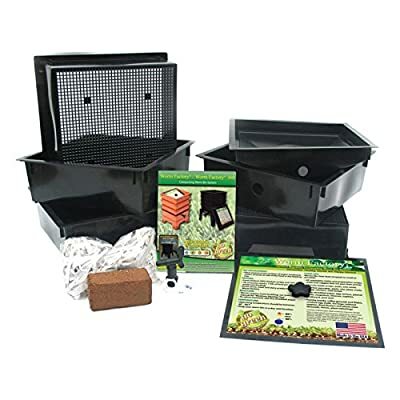 The included 16-page instruction manual makes setup fast and easy and gives tips on how to best manage your Worm Factory composter year-round.